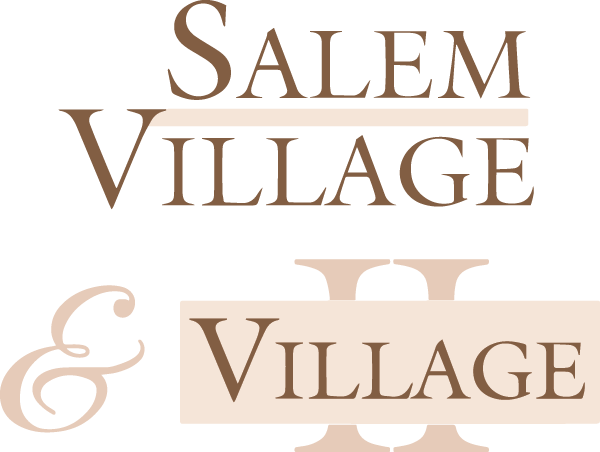 Salem Village and sister property Village II provide the perfect blend of convenience and comfort. The conveniences begin with the location of the community, just off of Rte. 273; you have easy access to I-95 and many other local main roads. Shops, banks, schools, and entertainment are accessible within minutes. Comfortable and spacious living quarters defy the typical apartment living area. A sliding glass door leading to a private balcony or patio adds additional light bringing in the feeling of the outdoors. Abundant closet space provides a place to store unused items for a clean, uncluttered, contemporary space. At Salem Village, the laundry facilities located in each building provide economical equipment and lends for more personal time. At Village II, there are washers and dryers in each apartment home. There are several floor plans and apartment sizes to choose from. A newly renovated pool rejuvenates the mind and body on a steamy summer day. It also provides easy entertainment for the children while on school break. A daycare located directly in the community makes for an easy morning routine for anyone requiring childcare. This convenient location renders easy access to I-95, Rte. 273, and Rte. 4. Enjoy a day of shopping at The Christiana Mall, College Square, Fox Run, or University Plaza to name a few. Entertainment, such as Delaware Park, and several movie theatres, is within minutes of our community. Many local restaurants offer a variety of fine foods, including many authentic ethnic cuisines. Pettinaro Residential staff provides the friendly and professional service our residents are accustomed to! Visit today!